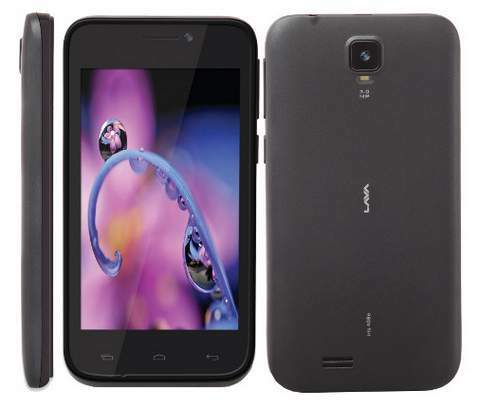 Lava mobile has launched several budget smartphones, now the Iris 408e is available from SAHOLIC. The handset comes with entry level specs and it lacks 3G network radio. The Lava Iris 408 e comes with 4 inch WVGA display and draws the strength from 1GHz CPU paired with 256MB of RAM. It would compete with Micromax A54 Ninja 3.5 (unboxing). The Lava Iris 408e packs with 3MP rear camera and a VGA front shooter. It runs on Android 2.3 Gingerbread, which is outdated nowadays. The phone has 512MB of internal storage out of which 115MB is available for USER. It houses 1500mAh battery that claims to offer 5 hours of talk time. The Iris 408e is priced at INR 3829 and is available in Silver and Black colors.